Ultralight and lightning quick. The bipod attaches to the sling swivel by a screw-up clamp. Manufactured from heat treated and hardened alloys. 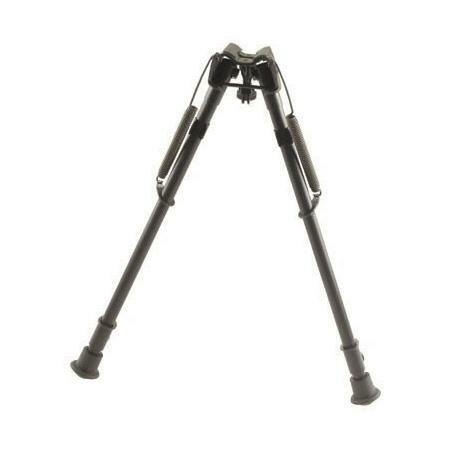 For the average physique this bipod is ideal for prone or sitting positions. This improved bipod has been the varmint hunters favourite since 1966. Adjusts from 13.5 - 23 inches. Good product and easy to fit purchased online and saved nearly £30 for identical product from two other retailers..